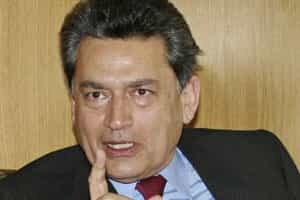 New York: Rajat Gupta, a former Goldman Sachs Group Inc director and former global head of McKinsey & Co, was in FBI custody on Wednesday on criminal charges related to his hedge fund manager friend Raj Rajaratnam, the central figure in a US crackdown on insider trading. Gupta is expected to appear in court later in the day on charges related to the Rajaratnam insider trading case, the spokesman said. Prosecutors said at Rajaratnam’s trial that in 2008 Gupta leaked information about Goldman that he learned from the bank’s board meetings. Rajaratnam was convicted in May by a New York federal jury after a two-month-long trial. On 13 October, a judge sentenced him to 11 years in prison, the longest recorded for insider trading.